Does photography gear matter? Do I need to invest in expensive gear and equipment? Read my photography tips and decide what gear is right for your situation. So, what’s the short answer? 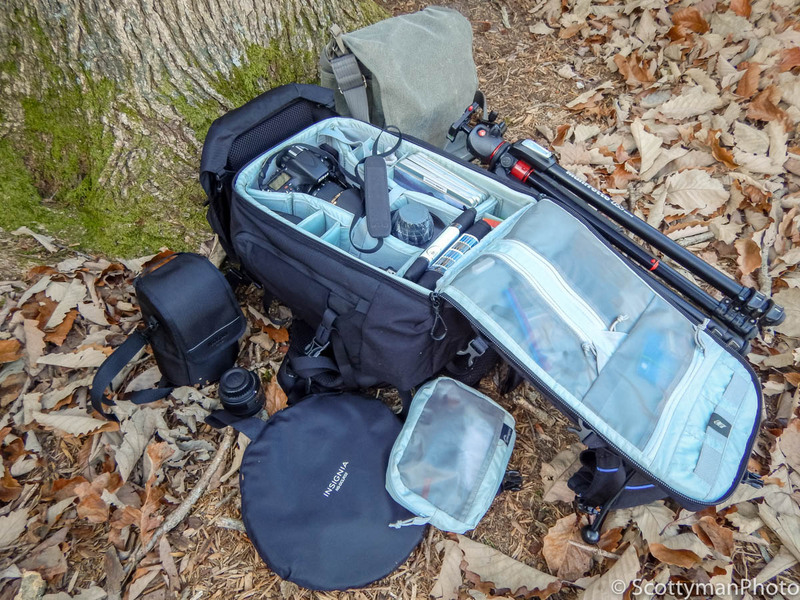 An image of a Lowepro Trekker 450 backpack with camera gear accessories. Indeed, this is a much-debated topic in the photography community. In fact, a quick scan of the internet will lead to many conflicting opinions on this seemingly endless debate. Though, in my humble opinion, the answer depends on the intended use of the image. Nevertheless, gear comes in second place in contrast to an excellent composition. Truly, too often people place more emphasis on equipment above composition. Honestly, from the perspective of an artist and photographer, I realize that while equipment serves to capture an image, composition serves to capture attention. One must decide what is most important based on personal aspirations. In reality, some creative effects require specific gear. With this in mind, yes, gear does matter. Bottom line, use whatever equipment is necessary to capture your vision. What gear should I own and why? Although there is no right or wrong answer, “why” is certainly a better question than “what.” Why do many professional wedding photographers use expensive lenses? Indeed, many wedding photographers use a 70-200mm lens with an f/2.8 aperture for capturing low-light images without the use of flash. Conversely, others may prefer prime lenses with a much faster f/1.4 aperture. While many professionals simply desire to use the best available equipment money can buy, others strive to achieve similar results on a much more frugal budget to maximize profits. With this in mind, when deciding on what gear to purchase, first ask the following question: why do I need it? Of course, quite often we find that we really don’t need what we want, but as I mentioned earlier, there is no right answer. Simply put, I recommend the best tool for the job within your budget. I know I don’t need it, but I really want it! How can I justify the purchase? This question is one that many photographers struggle to answer. Another important fact is that not everyone endeavors to achieve professional stature. For instance, many people solely desire to fill the family album with great photos or impress Facebook friends on the web. In this case, does photography gear matter? As human beings, we like to divide things into neat sections and place them in the right order. Thus, dividing photographers into groups may help in justifying a purchase. Consider the following three categories: First, the professional photographer who earns a living using their gear, Second, the serious hobbyist who may sell a few prints here and there, Third, the DSLR owner, dubbed the family photographer. Regardless of the category, all want to do their best. In any case, justifying the expense associated with any business or hobby is not without its challenges. The decision is yours alone! What’s the real difference between cameras? An image of a Nikon D800 with an iPhone 6s. Many people tend to select a camera based on its aesthetics and size rather than its intended purpose. Actually, giving some serious thought to the anticipated use of the camera may help manage expectations. For example, a full frame DSLR utilizes a sensor size of 36x24mm, which is equivalent to a 35mm film camera. In fact, most DSLR’s have a sensor size of approximately 23x15mm. When comparing a typical DSLR to the iPhone 6, which has a sensor size of 4.8×3.6mm, the larger DSLR sensors will provide a higher dynamic range in low light situations. So then, does photography gear matter? In fact, a full frame sensor will yield better results in low light applications compared to a point and shoot. Thus, people who often shoot in low light conditions may achieve better results with a DSLR. Does photography gear matter that much? After all, my iPhone pics look pretty good! Take a look at the two images below. Both images were processed with Adobe Lightroom applying similar adjustments. Other than the increased noise in the iPhone 6 image, most people will only notice the composition, not the details. However, despite the similarities, the DSLR has far less noise, more vibrant colors, and more detail in the shadows. 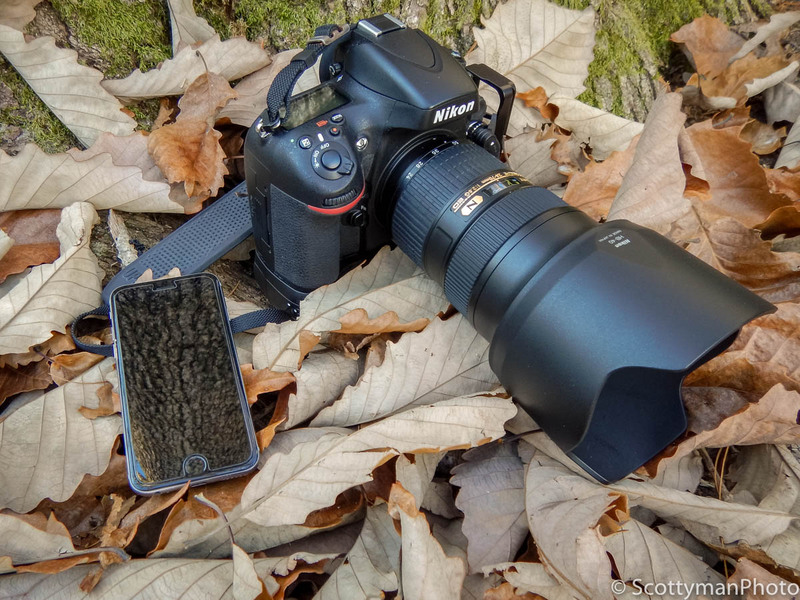 Granted, comparing a D800 to an iPhone is hardly fair, but in this case, does photography gear matter? The web is saturated with countless DSLR and a point and shoot comparisons with no shortage of opinions. Still, most photographers realize that image quality is directly proportional to camera quality. Let’s be honest, for most applications, it’s the composition of an image is what truly counts! 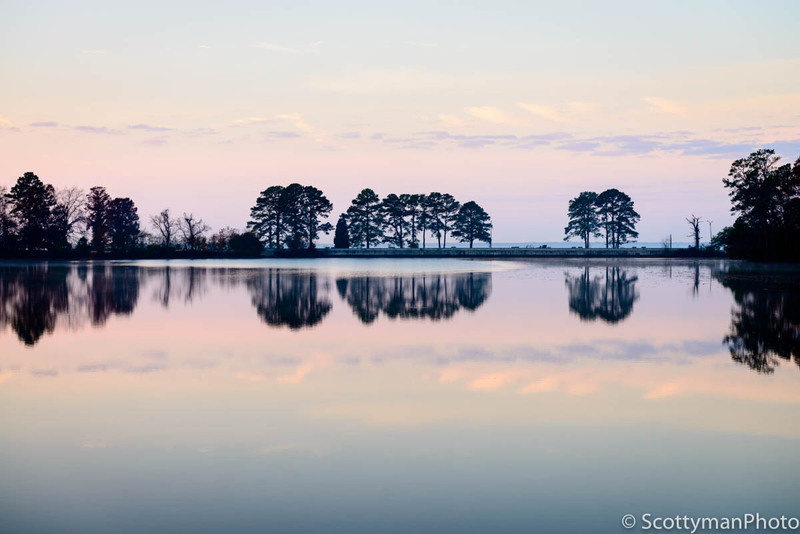 An image of Maury Lake captured with a Nikon D800 on the Noland Trail in Newport News Virginia. 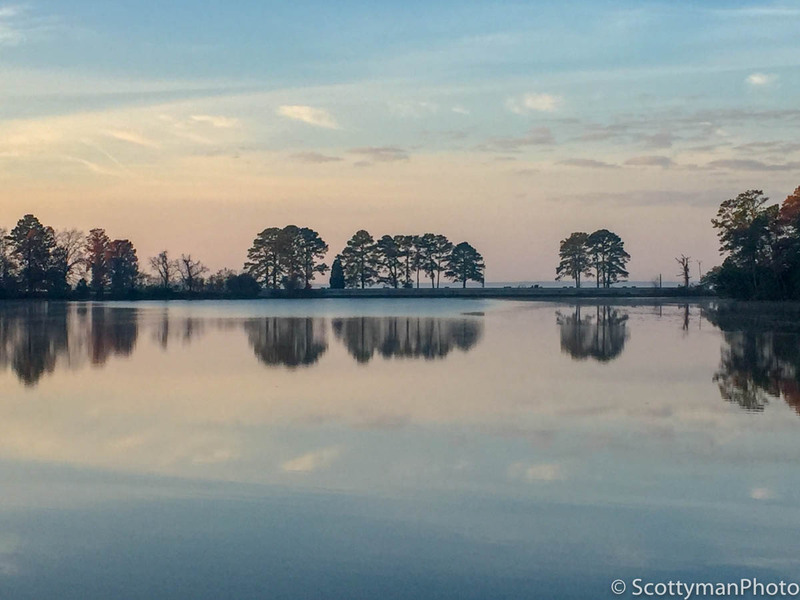 An image of Maury Lake captured with an iPhone 6s on the Noland Trail in Newport News Virginia. As a professional or serious amateur, do I have to use high-end gear? As I mentioned earlier, the intended use and desired artistic effects, or vision, should serve as a guide in selecting gear. Honestly, does photography gear matter to a professional? Of course, what professional or enthusiastic amateur doesn’t want the best equipment they can afford? However, does a professional studio photographer need the best light stand money can buy? Indeed, many factors determine the needs of a professional photographer or hobbyist. In reality, client demands and artistic goals are usually the main driving force behind one’s equipment selection. Nevertheless, some effects may require an expensive camera or lens. Additionally, certain conditions may necessitate the need for an expensive tripod. On the other hand, even a professional photographer doesn’t need a fancy full-frame DSLR to post photos to Instagram. Every situation is unique and does not necessarily require the use of the most expensive camera gear in town. What is the minimum gear I absolutely must have? 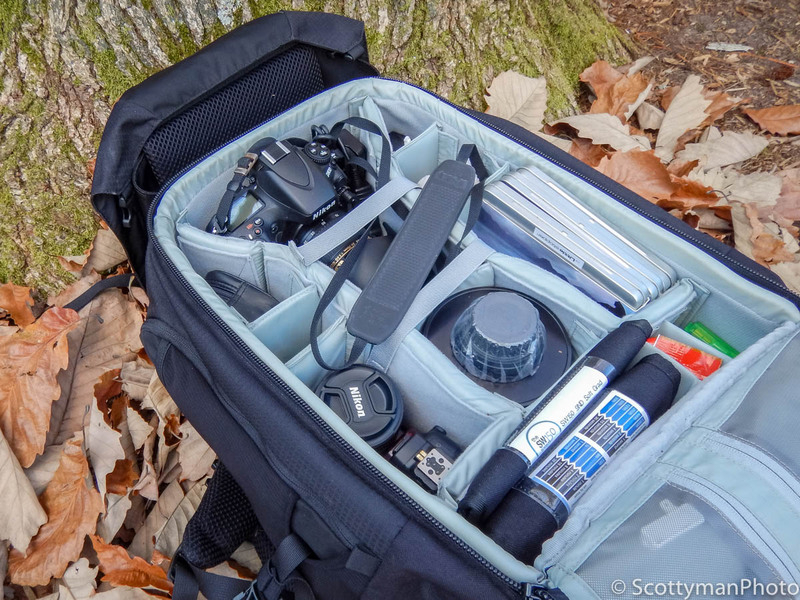 An image of a Lowepro Trekker 450 backpack with camera gear. The simple answer is a camera. Of course, this is a difficult question to answer, and it mostly depends on your personal or professional ambitions. Usually, someone asks about the minimum gear needed for a kit. Although there is no right or wrong answer, it depends on your unique situation. For example, an event photographer will most likely require a telephoto and wide-angle lens with a backup camera. Yet, a landscape photographer may get away with only one camera and one wide-angle lens. Moreover, the landscape photographer may also require many filters, a heavy tripod, and a backpack for hiking. The main point I want to make is that there is no right or wrong answer. Each situation determines the minimum gear necessary; It entirely depends on your objectives as a photographer. What if I plan to expand later? What’s the most important point to remember about gear? Does photography gear matter? Yes, but unequivocally and without hesitation, I suggest that an excellent composition is far more important than any piece of equipment. Honestly, I learned that it’s a captivating and stunning composition that captures attention, not camera specifications. Often, when viewing an image, people are curious about my camera and lens combination, but remember, it’s the composition that caught their eye in the first place, not the camera. In fact, most people in the world are not photographers and do not care about the minute details of the equipment used. Most people show more interest in your artistic abilities rather than your camera. In the end, it’s the composition that endures the test of time, not equipment! Now venture out and capture your vision with whatever gear you have on hand!